HotForex offers one of the most innovative and sophisticated trading platform for all its customers. All your trading needs will be satisfied under the same roof and you need not have to run from pillars to post searching for a dedicated platform. 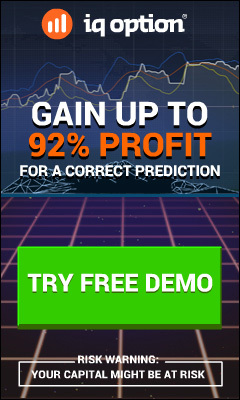 It offers a number of benefits with blazing fast trade executive and a highly intuitive graphical interface which is ideal for those people who are starting Forex trading for the very first time. The website is clean and navigating through different trade options is extremely easy. All the news feeds from the market are directly delivered to the trading platform and there are pre-programmed analytical tools. MT4 Terminal: It is regarded as one of the most popular and sought after software in the Forex industry. It has used this software to create a user friendly front end trading interface with fast execution and inter-bank liquidity. You can easily place your trades in Forex, Futures and CFDs easily and you get to use all the essential tools required to analyze the price dynamics of financial instruments. Other features include real time client account summary, multilingual platform and ability to overlay analytical studies. Mobile Trading: You can use this platform when you are on the move and don’t have the luxury to sit in front of the PC. It offers a fully functional trading terminal and access the market to make trades without any kind of hassles. With the best trading tools and advanced charting options, you get the flexibility required for placing trades. There are other benefits of this platform like access to news feeds, supporting 30 different types of technical indicators and multi-lingual support. At the same time it is completely secure and confidential. iPhone Trader: It is an iOS compatible HotForex Trading Software that is designed with sophisticated features with full functionality and easy access to the market. You will be able to enter instant as well as pending orders with an option to modify the trades. Past order history can be viewed and one would be able to monitor live trades also. Real time rated will be delivered to your smartphone without any kind of delays. One click trade executions available for instant market orders. WebTrader: It is known for its highly interactive interface with customisable trading environment. One can easily manage trading positions efficiently with the help of enhanced charting functionalities. In order to access this HotForex Trading Software, one need not have to download or install any kind of plug-ins or Web Start applications. It is compatible with all versions of Windows, Linux and Mac based operating system. It has a multi lingual environment and there is no download required. You will be able to access this platform from anywhere as long as you are having a PC around you. We also recommend you to read our detailed HotForex review to have a complete idea on this broker.